Why Variable Speed Pumps? 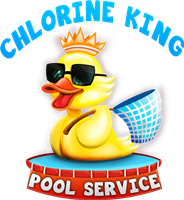 Chlorine King Pool Service - Seminole, FL. Why variable speed pool pumps you ask? The real question is why not? There are so many perks to installing one to upgrade to how your pool circulates its' water. Technology is something this industry has been dying for because as time goes on the usage of power just keeps getting more and more expensive. There's a rumor going around that variable speed pool pumps may become the standard around 2021-2022 and I'm all for it. You should be too. Hopefully we can help you understand why you should be calling Chlorine King Pool Service tomorrow to have one installed. Below are a few reasons why they are all that and a bag of potato chips! Yes, that means you are going to be saving a lot of money! Click on "Returning Your Investment" to learn more about the science about it. Essentially the watered down version is you are able to run the pump at a lot less RPM's, and because of that you save a ton of watts (power) each day. This is what yields your power savings each month. How would you like to save up to 90% of the energy you're currently using to power your pool pump? Well, we can help you with that! This will also save you a bunch of money. With single speed pumps costing anywhere from $600-$800 to install every 3-5 years we can help reduce how many times you need to install a pump. The reason behind this is simple; wear and tear. The single speed pump (running at 3450 RPM) is running full speed all day long. Some days it can be up to 12 hours. With variable speed pool pumps we can reduce the strain on the motor (in RPMS) by 40%-60%. So which one do you think is going to last longer? My car has a speedometer that goes up to 140 MPH but I know it'll last a lot longer if I drive it at 50 MPH than if I drive it at 140 MPH the entire time I'm driving it. This one lost me at first, but hang in there. Let's think about this. Your pool is going to thank you because the water is going to be circulating a lot more so it will be able to eliminate things like bacteria or other contaminants easier because the water is moving. Your filter? Yeah that is not going to have a ton of water rushing through it anymore so now it can filter better than it did before. Do you have a heater? Yep, you guessed it. The water is going to heat better because now it is going to stay in the exchange longer than it did before. This is particularly true for solar heating options. The list goes on and on. How can it be considered a safety device? Well there's one of two ways. First, because the water is running at a much lower speed the chances of entrapments are diminished greatly. Not to say this still couldn't happen but if you are running the pump 40%-60% less power wise, it may save a life on that alone. The second, and more importantly, there are pumps out there that have a SVRS (suction vacuum release system) built in. What this does is if the pump senses an obstruction, like someone stuck to a drain or vac line, it shuts off in two seconds. The technology is that awesome. The one I really love is Pentair's, Intelliflo VS + VSRS pump. Greatest money savings together with the highest safety. What else could you want?